If you're looking for hot air balloon festivals, rides and glowfests in Collin County, you're on the right page. 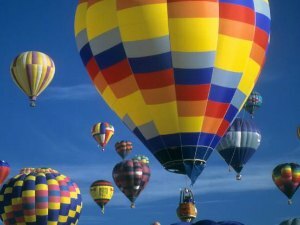 Listed below is the complete list of links to the annual Dallas/DFW hot air balloon festivals and glowfests held in Anna, Celina and Plano. Held in the Fall, this Glow & Show event includes tethered rides (weather dependent), live music, Trick or Treating, car show, and games. Free, but cost for tethered rides. Food court is also available.